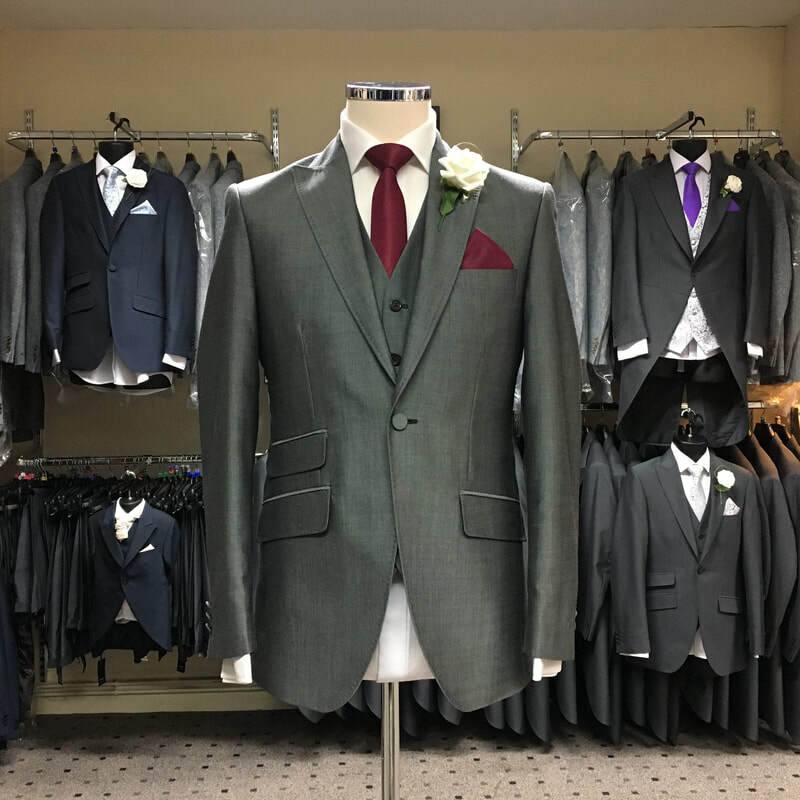 Available as a tailcoat, slim fit one button suit or classic fit two button suit. Customise with your chosen waistcoat, neckwear and pocket square. 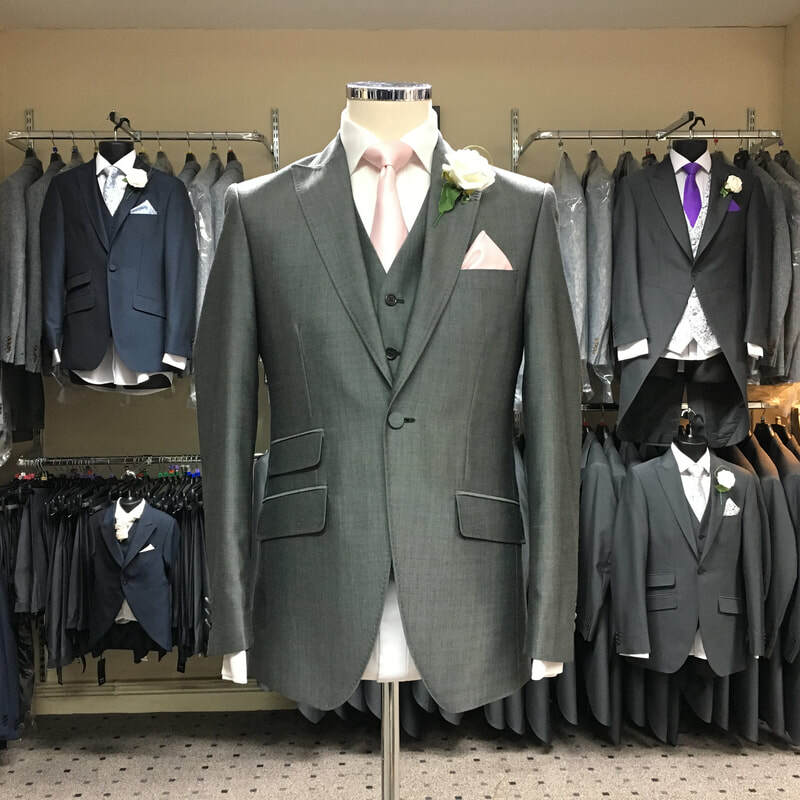 Outfit comes as a complete package inclusive of jacket, waistcoat, trousers (plain front or pleated), brand new shirt for you to keep worth £30 (choose any shirt from our ranges) neckwear (tie, cravat or bow-tie), pocket square & insurance. NEW - Silver Point Prince of Wales Check Waistcoat with matching pocket square. NEW - Silver Point Prince of Wales Check Bow-Tie & Pocket Square, matches waistcoat. 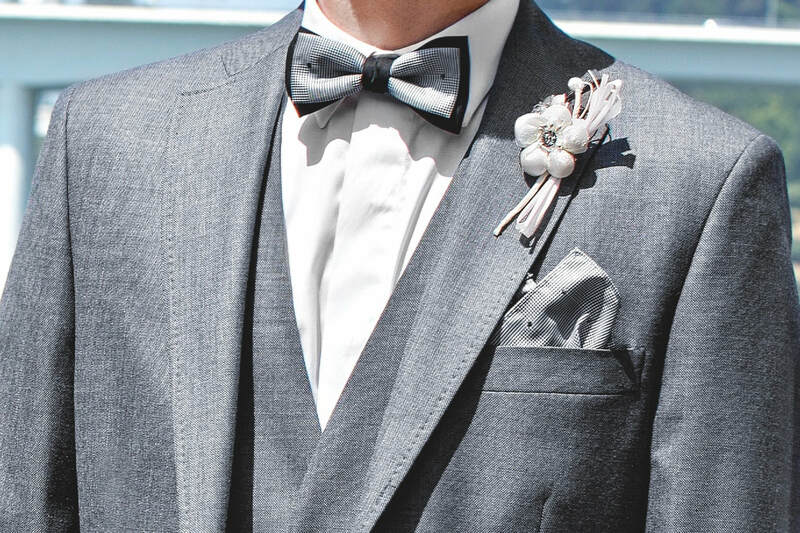 The fabric of the Silver Grey Mohair is luxurious and lightweight. In jacket form, the jacket has a nice modern tailored fit with single rear vent and one button style to the front, peak lapels and button eye on left lapel to accommodate wedding corsages. The jacket has four outside pockets, one either side with flaps, plus a ticket pocket to the right side with flap and top pocket to accommodate a pocket square. Inside a further two large pockets to accommodate wallets, speeches etc, and a further dedicated pen & loose change pocket. In Tailcoat form the jacket is very similar but has no outside jacket pockets other than a top pocket to accommodate a pocket square. Fit wise the tailcoat fitted in the correct size will cut in just behind the knee regardless of customer height. The waistcoat features a pocket either side to accommodate loose change or a pocket watch and has a built in belt on the back to adjust for the perfect fit. The trousers feature a modern tapered leg fit and plain front. They have a built in adjuster/ratchet system to the side which eliminates the need for a belt (there are no belt loops) two front pockets and one rear pocket. They are lined with satin inside to just bellow the knee so feel very comfortable to wear.